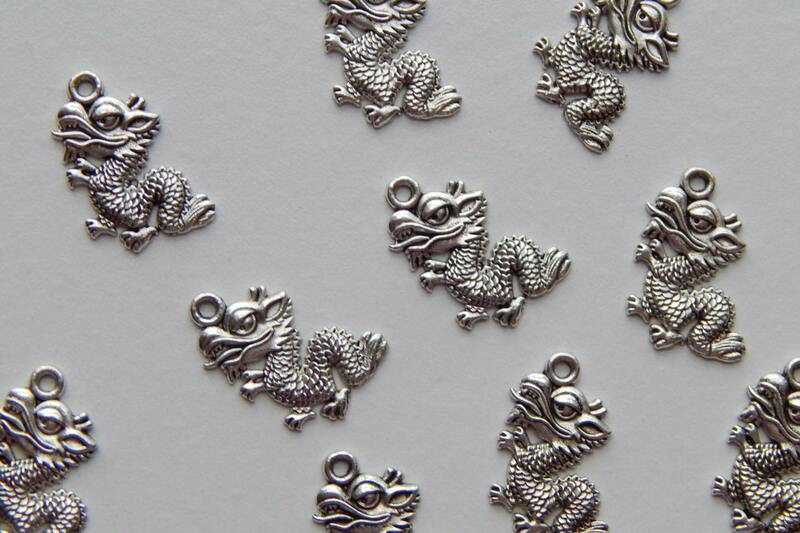 One package of dragon charm jewelry beads. 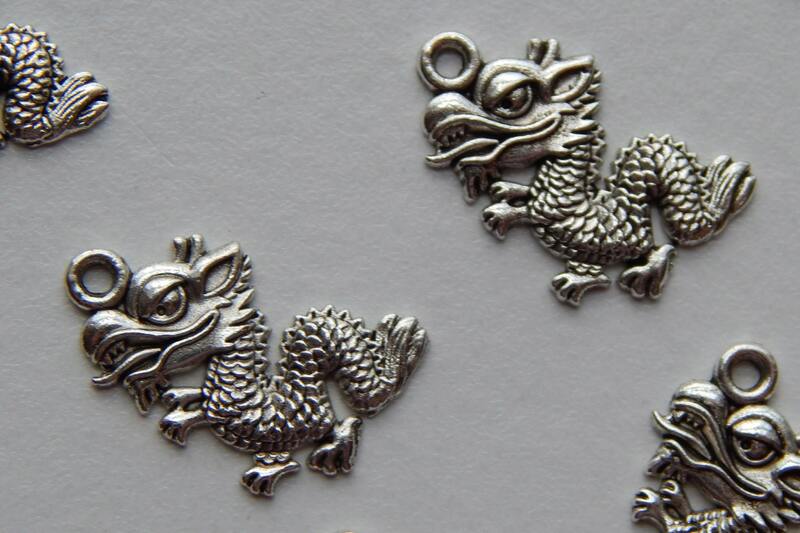 Antique silver color plated base metal. Single sided design, scored plain back. Highly detailed, good quality. 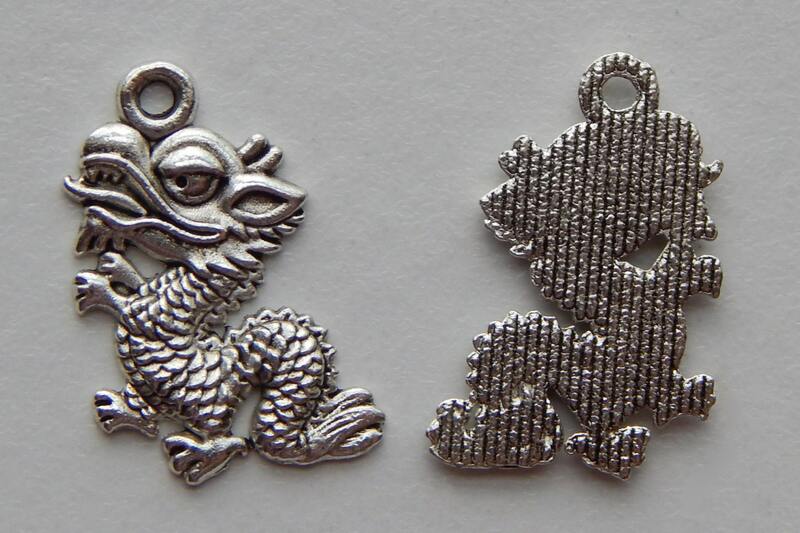 Eastern style / Oriental dragon. 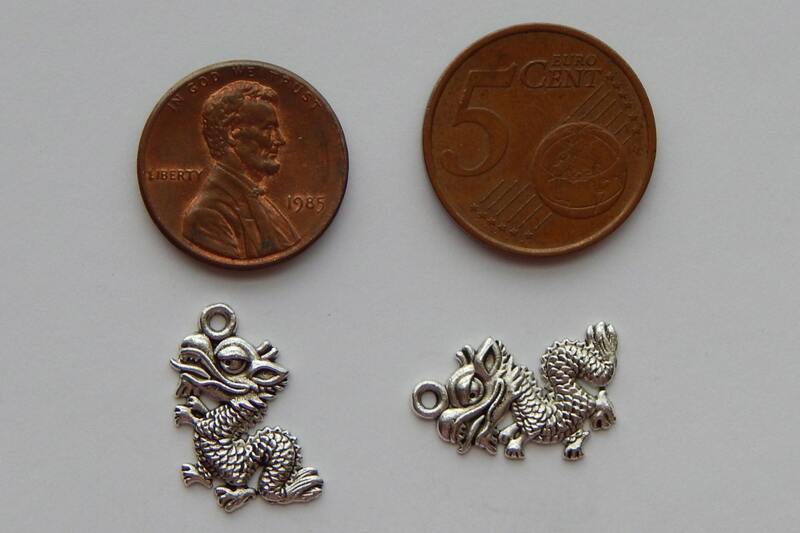 Pieces measure 19mm high x 12mm wide x 1.5mm thick. 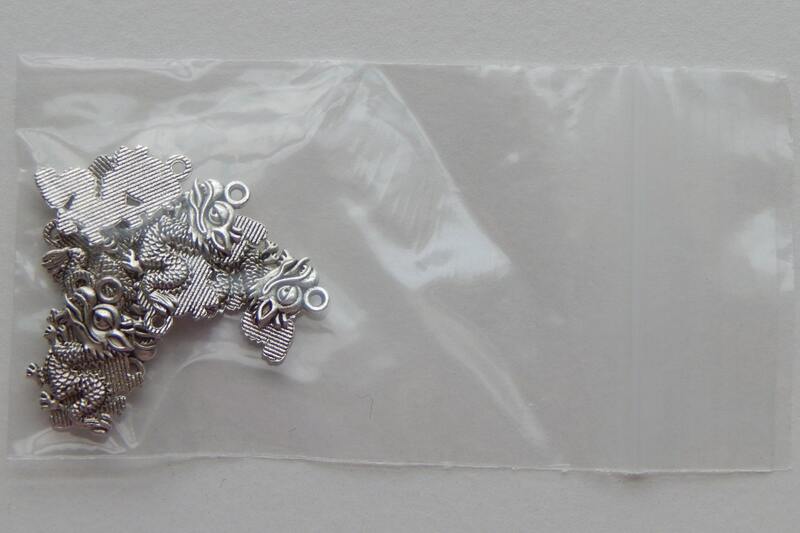 Top loop for attaching, 1.5mm hole size. 1 piece, including a steel jump ring.